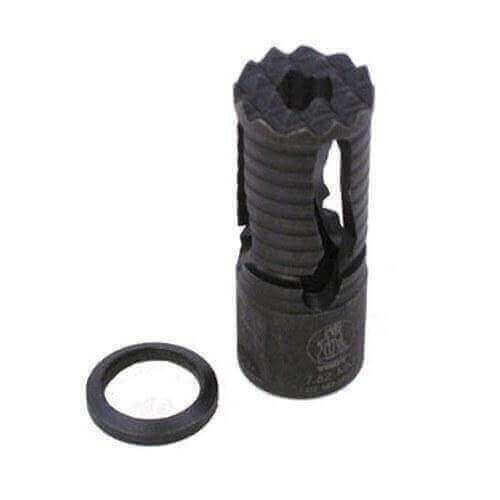 Keep steady during rapid fire with our Medieval Muzzle Brake. This rugged brake enhances control and accuracy during full auto and rapid fire. The Medieval Muzzle Brake improves performance of over-the-barrel sound suppressors. It’s also tough enough to serve as an improvised breaching device if the situation calls for it.